From mid-2016, Ruag Aviation (Stand CD17) is set to begin serial production of its modernized “NG” version of the Dornier 228 twin turboprop. 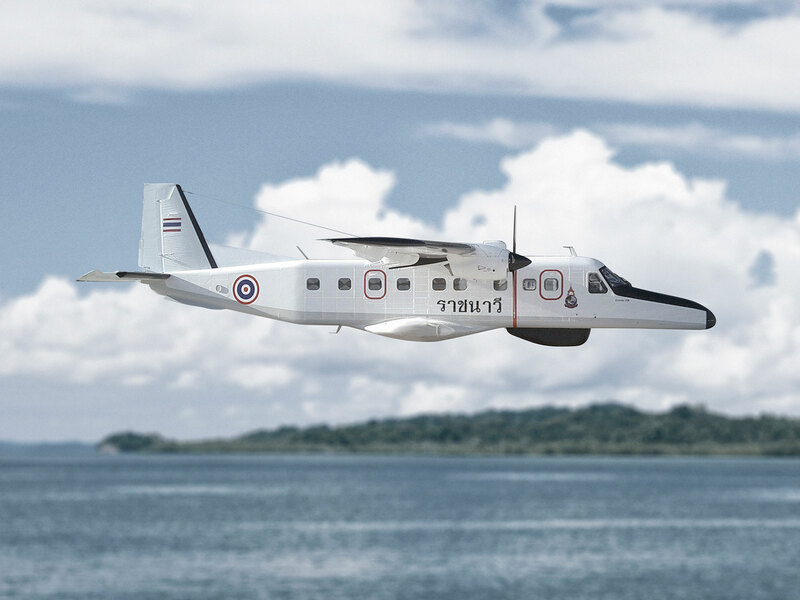 The aircraft is intended for a variety of applications, including commuter airline service and maritime surveillance, with existing customers in the Asia Pacific region including the Royal Thai Navy Border Patrol, Japan’s Central Airservice and the Bangladesh Navy. Initially, Swiss-based Ruag intends to produce the Dornier 228 at a rate of four aircraft per year at its assembly line at Oberpfaffenhofen in southern Germany. In 2014, the company signed up India’s Tata Advanced Systems as a key supplier for the program. The fuselage, wings and tail unit are all manufactured by Hindustan Aeronautics Ltd in Kanpur, India. The Dornier 228NG features improvements such as an all-glass cockpit and five-bladed composite propellers that improve fuel efficiency and reduce noise. The cabin can be fitted with up to 19 passenger seats or a variety of special missions equipment. The aircraft offers superior short- takeoff and landing capability. The most recent new customer for the 228 was Guernsey-based Aurigny Air Services, which is replacing its aging Brittan Norman Trislanders with three of the aircraft. The first of these new aircraft should be delivered by the end of 2016. This year, Ruag is boosting its management team in the Asia Pacific region with the appointment of John Teager as managing director of Ruag Australia. The former Royal Australian Air Force officer has served with the company as sales and marketing vice president since 2013 and assumed his new position on January 1. Ruag Australia, which until February 2015 traded under the name Rosebank Engineering Australia, provides maintenance, repair and overhaul services for military operators. Separately, Ruag last month delivered 10 “missim” threat simulator test units to the German Army. The company’s Aviation Products subsidiary developed the equipment as a way to test the self-protection capability of military aircraft. It simulates electronic warfare threats including radar, lasers, missile and hostile fire, and can be adapted to just about any platform fitted with sensor equipment. Ruag also offers a variety of upgrade programs for helicopters such as the Super Puma and Cougar. Its aerostructures division is involved in manufacturing of fuselage and wing components for airframers such as Airbus and Bombardier.